Get A FREE Trial Week! I don't need to see this again. Light language is something all of our Souls speak in some way, fashion, realm or form. When I speak or sing light language it is the way in which I can transmit massive amounts of information and activations to your Higher Self which then receives it in a way that serves you uniquely. The light language I sing and speak is the language I use when communicating with my Guides. It is the language I remember from the "other side." Each person has their own unique dialect. Sometimes you can hear children speaking in their own unique "light language" to their Guides i.e. "imaginary friends." Life is a bit like climbing a mountain... at times we are on peaks with amazing vistas, at other times we get lost in dense valleys, or we are in any of the terrain in between. Each experience can be an opportunity to grow and learn in new and exciting ways. The integrated concepts and tools Aleya's teachings are designed to assist you in climbing your own mountain with greater clarity, strength, joy, ease, and personal fulfillment. Physical, mental, or emotional health? Feeling lost? Disconnected? Insecure or fearful? Are you "too sensitive" or highly empathic? Do you need support navigating your everyday life? Do you have a sense THERE IS SOMETHING MORE? What changes do you desire? Would you like to find love and deepen your relationships? Find your purpose and passion? Experience greater joy, peace, confidence, or freedom? Would you like to reach another level in your spiritual growth? What qualities would you like to experience within yourself and in your world? Imagine you are at peace and feel calm as your right path is unfolding clearly before you. You know the next step to take and you do so confidently and are happy. Aleya's daily "Cups of Consciousness" meditations, "TALL Cups of Consciousness" monthly group sessions, classes, and her music connect you to a higher consciousness and higher vibrations. You develop your own innate abilities to positively affect every area of your life. You actualize your greatest potential. For over 20 years, Aleya has been a sound healer, energy practitioner, Doctor of Oriental Medicine, and spiritual guide. She teaches a unique model comprised of 7 Principles. Aleya has mastered the ability to help people release the root causes of their suffering. Her tools help people discover how to move forward with greater peace, empowerment, and freedom. She serves thousands of people around the world with her meditations, online courses, and powerfully transformative music. 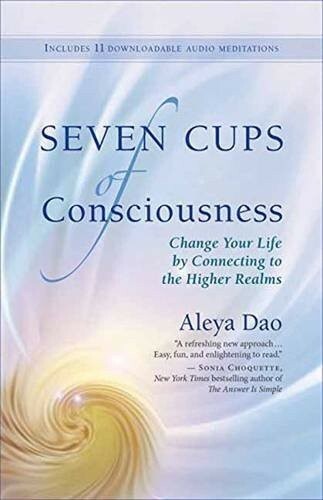 "SEVEN CUPS OF CONSCIOUSNESS - Change your life by Connecting to the Higher Realms"
The Higher Realms hold the blueprint for your life. When you shift the energy in the Higher Realms, your life in the physical realm changes. Your Higher Self (your Energy Self) knows how to do this work. Sounds True has released Aleya's Music! A centuries-old practice, sound healing is a transformative healing tool. Hindus chant Om, Monks intone beautiful prayers, and Aleya sings the songs of the Angelic Realm. Every chakra and every organ in your body responds to a unique sound. When your body experiences powerful, high-vibrational sounds, it shifts the consciousness of your body and soul. View / sample all Aleya's Albums HERE. 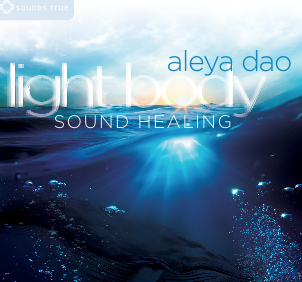 Aleya uses "Energetic Protocols" (similar to prayer), "Sound Healing/Toning", and "Light Language" to help you align the energies of your body and spirit. Her daily Cups of Consciousness meditations, hour-long tele-video TALL Cups of Consciousness sessions, and Energetic Deep Dive intensives facilitate a higher consciousness, inner peace, and greater happiness. Additionally, every few months Aleya tunes into the "Energetic Weather" and shares her FREE Forecast and a few times a year she offers a Free Conscious Conversation. The daily Cups of Consciousness meditations can help you balance your energy during the week and shift the way you feel in minutes. You can choose to have the meditations delivered either 5 days, 3 days, or 1 day a week via email. Sign up today for a FREE trial week of the daily Cups of Consciousness meditations in the box to the right. Sessions are hour-long live tele-video sessions with Aleya that take you into deeper alignment and help you clear specific challenges and blocks. The Tall Cups are scheduled every three weeks on Monday at 7pm (PST). *For BOTH the Daily Cups PLUS the TALL Cups of Consciousness special package price, Subscribe HERE. Aleya’s healing meditations focus on health, weight, relationships, abundance, and more. She even has a special collection for children. These series can be purchased and downloaded at any time. Download previous DEEP Dive Intensives audio and video files. Aleya and her husband Doug Noll have a series of video audio sessions. They share concepts and tools to create healthy relationships with partners, children, parents, friends, and inbusiness. Visit my page for all upcoming live-stream and in-person events, albums, and more! View all items available at Aleya's Store. Be sure to go to my Free Meditations and Conversations page for a treasure trove of gifts. Listen, receive, and SHIFT with this session in the current "energetic weather". This session is supportive and empowering for you, your body, and Teams in this time of profound energetic currents coming onto the planet. Unravel old ways of being, access dimensions of safety and support, release discordant mechanisms to receive your desires, heal trauma, clear empathic sensations, gridwork, strengthen your fields, and MORE. Get the Reweave the Web and Ripple TALL Cup Session HERE. Use your energy fields to change your life. This is an hour-long live and recorded energy-balancing session. Join over the internet or by phone for the Next power-packed TALL Cups. Reconnect with your Essence, your Gifts, and your Mastery. Aleya is a truly gifted leader, healer, and visionary of our time. Her sound healing work is cutting edge, dynamic, and highly effective. I have seen such delicious transformations occur with many people in my community as a result of their work with her. I also highly recommend her Daily Meditations. I have been meditating for over 20 years. When I subscribed to Aleya's Daily Meditations, I found them to be an amazing gift to my daily sits, adding a profound dimension to my experience. She is a treasure to our planet.